Most of us do the first step and many do number 2. Where we fail is in the execution of number 3. You must focus and commit yourself without distraction to achieving your dream. There is a line in the song “Happy Talk” from the Rogers and Hammerstein musical South Pacific: “You gotta have a dream, if you don’t have a dream, how you gonna have a dream come true?” Dreams, goals, aspirations, desires, targets, ambitions, objectives. Whatever you want to call your vision of your future if you haven’t formulated one it’s hard to be successful. 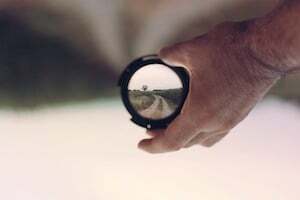 So you have a clear picture of where you are heading. A loving family, good friends, a nice home, practical cars, interesting vacations, and a growing savings account, perhaps. You have written your dream down in words you read every day. Or perhaps you have made a dream chart with a collage of photos, pictures and words symbolizing what will be. It feels good. Now you need to find the path to get to there. When I was in high school, my dream included the list above. My path was to get a college education, find a good job, meet the girl of my dreams, marry, settle down into the routine of working hard and taking time to care for myself and my family. It was a good path with many side road trips to add skills needed to move on down the road. When I look back where I came from I can see how the path led me to my dream. That was the “big picture” dream. To be successful divide major goals in your life into smaller tasks. Pursue each task with focus and determination. Leading ultimately to your prime achievement. What is a distraction? Anything taking energy and focus away from achieving your dream. Now let’s be clear: “all work and no play makes Jack a dull boy”. One of the primary goals in life is to have a good work – life balance. When it’s time for work focus on the tasks to complete work goals. When it’s time to relax and recharge focus on life refreshing activities. Lois and I set out to write Secrets of the Softer Side of Selling collecting our experience of lifetimes in sales as a dream. The task was to write a couple of hours each day, five days a week. We wrote most weeks until the draft manuscript was completed. We published the first edition. Then Lois had a health issue interfering with the promotion of our book. The project and dream fizzled at that point as we took time to focus on other life issues. Several years later we dusted off the manuscript, dedicated ourselves to revising and improving it. We now have a published second edition selling regularly. As we continue to promote it more copies are sold. The dream to be published authors came true. Now we dream of helping others achieve their dream of being successful salespeople. Writing this blog is one task completed weekly to realize that dream. Do you have written goals? If not write your dream and read it daily. Look at your calendar. Have you scheduled time to focus on your dream? Do you schedule “time off” to refresh and renew your energy? Goals are easier to achieve when you have work – life balance. Each week review progress on goals. Were you distracted? How did you get back on track? 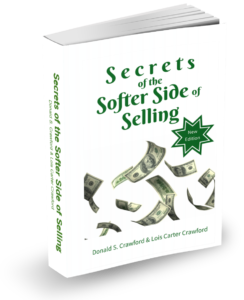 To learn more sales secrets see Chapter 18, Setting Your Goals, in Secrets of the Softer Side of Selling. For even more sales help, join our FREE Sales Club! “See” you next week.